The Old Nene at March continues to attract anglers from all over the country keen to get in as much practice as they can on the venue ahead of the Angling Trust Winter League Final at the end of February. In fact it’s become so popular that the organiser of March Open matches, Bob Fitzjohn, is having to turn anglers away as tickets sell out fast. This time of year is perfect for pike anglers. One of the better venues has to be the North Level Drain at the moment. That's where local rod Stuart Egginton braved the elements recently and was rewarded with this fantastic looking fish going to the scales at just over 17lb. This week's matches are: Sweepstake, Ramsey St Mary's, draw 8am; Angling Trust Pike Qualifier, The Narrows, draw 8.15am. Let’s hope it doesn’t get over-fished and the huge weights and consistent sport we are still seeing every week start to drop off. Thankfully, the weather in a strange way may just help. We have frosts and even snow forecast over the next week so that may put a few off travelling. Last weekend, despite the rough and windy conditions, the venue fished remarkably well which also shows the calibre of angler fishing the event as it was a far from easy day to present a bait. We still saw anglers catching 10lb plus right along the match length but as expected the bottom end below Wigston Bridge was the real hot spot. Once Mark Pollard pulled out peg one it was always going to be an uphill task to beat him. He is one of the best small fish anglers around and once again he showed his class. Fishing the pole with pinkie over groundbait he was instantly into roach and just carried on catching for most of the day, varying his lines to keep the fish coming to finish with a fine 30lb 3oz. March rod Steve Smith took the runner-up spot from the peg at the Clock Tower right in the middle of the town. He opted for a bread punch approach and caught skimmers close in for 27lb 4oz. Dave Brooks came third with 25lb 4oz and with 21lb plus needed to make the main frame I think its safe to say this has to be the best natural venue in the country right now. 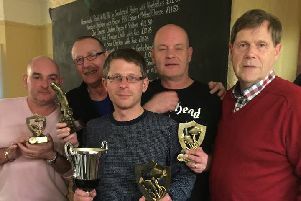 There were two smaller matches on the March Twenty Foot and the Old Nene at Benwick, both venues that will also be included in the Winter League Final. Stanjay Tackle from Huntingdon ran them to give those that could not get a ticket for the big March Open a chance to practice under match conditions on the final venues. Over at Benwick it was Troy Weaver taking the honours. He caught small fish from peg four on the whip for 14lb 14oz. Second was Tony Barker on 9lb 9oz, then came Tom Price with 8lb 12oz. The regular Whittlesey Saturday match saw anglers fish Carrot Wash and the strong wind blowing down the drain was a real problem. Thankfully lots of small fish showed up but presentation was difficult to say the least. 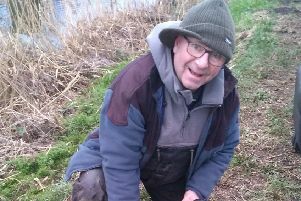 Matchwinner from the favoured bridge peg was Mark Barron with a great net of small roach and perch weighing in 6lb 11oz. Runner-up was Chris Gale with 6lb 5oz and in third place was Dave Steels with a 6lb net of small perch.